Canada's leading litigation practice grows to 53 lawyers. Lenczner Slaght, the Toronto-based law firm that focuses exclusively on litigation, has added four new associates whose burgeoning practices focus on regulatory, intellectual property, professional liability and commercial litigation. All have been mentored by senior Lenczner Slaght litigators and received the firm's trade-mark immersion in courtroom experience from the commencement of their training. Chris Kinnear Hunter has experience in a broad range of civil litigation, including commercial, administrative and regulatory matters. Chris focuses on shareholder disputes, corporate restructuring, and insolvency proceedings. Chris summered and articled at Lenczner Slaght, assisting on an array of commercial and regulatory matters. 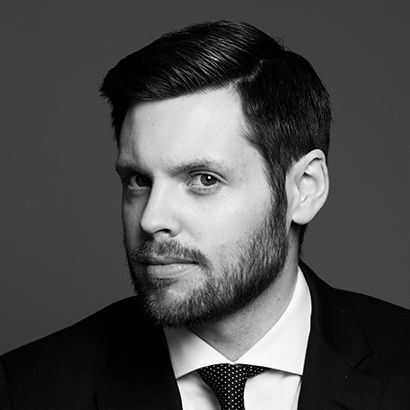 Before joining the firm, he worked for the Missing Women Commission of Inquiry undertaken by the Province of British Columbia and at the Canadian Embassy in Washington, D.C.
Danielle Glatt has a growing litigation practice covering commercial disputes, intellectual property litigation, professional liability, and health law. Before joining the firm, Danielle was a summer student in the Crown Law Office of Ontario's Ministry of the Attorney General, where she assisted on appeals and trial-level prosecutions, in addition to preparing inmate appeal files. She also gained extensive experience conducting trials and engaging in dispute resolution on behalf of the Crown in Provincial Offences Act matters. Jaclyn Greenberg has a practice focused on commercial disputes, professional liability and regulation, and estate litigation matters. Before joining the firm, Jaclyn worked in the legal services department of the Centre for Addiction and Mental Health (CAMH), where she appeared before the Consent and Capacity Board, and assisted on matters reviewed by the Ontario Superior Court of Justice and the College of Nurses of Ontario. Julia G. Brown has a developing practice focused on commercial and professional liability litigation. Julia has worked on commercial disputes, class actions, arbitration proceedings, and disciplinary prosecutions. In addition, she spent part of her articling year seconded to the Centre for Addiction and Mental Health (CAMH), where she assisted with matters before the Ontario Review Board and the Ontario Court of Appeal. "We are very pleased that these four talented young lawyers have joined our firm," said Peter Griffin, Managing Partner of Lenczner Slaght. "Our focus on training and mentoring our young lawyers will make them the advocates of the future."